The interdisciplinary work carried out by researchers from the Universities of Seville, Cordoba, Huelva and Murcia on the Las Ventanas cave (Granada) has made it possible to identify a new site with cave art in Andalusia. The south of the Iberian peninsula is home to one of the biggest and important sets of cave art sites in Western Europe. However, the majority of the cave art has been attributed to relatively recent periods such as the Upper Palaeolithic (less than 22,000 years ago and therefore coinciding with the development of the Solutrean and Magdalenian cultures), while the possibility of the existence of traces of older cultures has been the cause of much discussion. This outlook has been linked both to the late chronologies attributed, until recently, to the Middle-Upper Palaeolithic transition in the extreme South-West of Europe as well as the non-existence of some of the ancient phases of Palaeolithic art documented in the north of Iberia. The research carried out highlights the close relationship between the cave art in the south of Iberia during various stages with that found in sites in the north of Iberia. 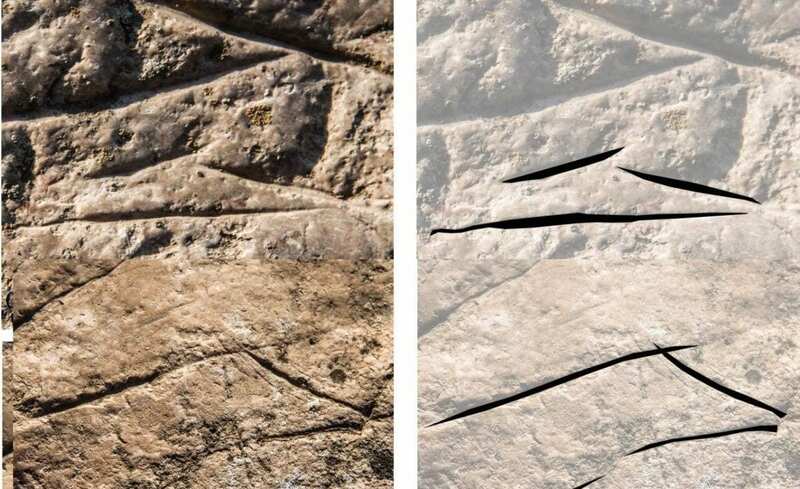 In this sense, the technical, stylistic and chronological characteristics documented in the Las Ventanas cave (Píñar, Granada) point to the existence of certain similarities with the appearance of deep exterior engravings of Cantabrian Palaeolithic art. The data seems to coincide with the age attributed to this type of graphic representation and indicates the early arrival of the Upper Palaeolithic to the south of Iberia. “According to our studies, we would have to play down the supposed Neanderthal survival at the la Carigüela site in Granada (one of the main late sites of the Southern Iberian Middle Palaeolithic) and also the possible interaction between modern humans and Neanderthals in the extreme South-West of Europe, which, until now, was based on the similarity with an engraving attributed to this period in Gibraltar”, explains the University of Seville and head of the research project, Miguel Cortés Sánchez. Therefore, the experts indicate, the next step in the research will be to look more deeply into the extinction of the Neanderthals and the arrival of the first modern humans to the south of the Iberian peninsula.